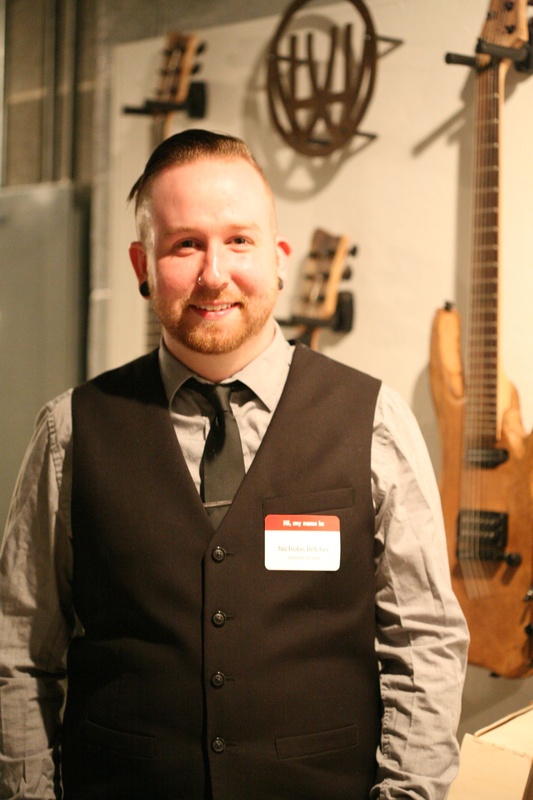 PCA&D alumni Nick Belcher, Graphic Design ’13, recently wrote an interesting post on the blog of LaunchDM,where he works as a graphic designer, about PCA&D’s annual Senior Show and Celebration, and his senior thesis, branding his dream company, Heartwood Guitar Company. 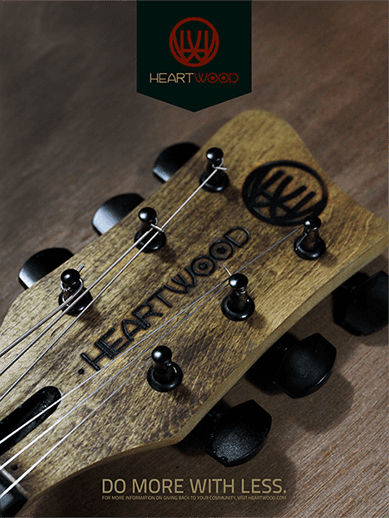 Heartwood Guitar Company was the fruit of the labor and love accumulated throughout my college career. Pennsylvania College of Art & Design hosts a Senior Show & Celebration every spring to showcase the graduating seniors and their theses to the public. It all happens one night, typically during May’s First Friday event in Lancaster. The college opens up all five floors of its facilities, with each floor hosting its own major, so people can come in and view the seniors’ artwork. Each student is given a designated area in the school to showcase their work. For my thesis, I created a logo and branding around the company. I also created the offered products, packaging, a catalog, website, and other collateral. When it came to the actual design work of the project (because this was for my graphic design degree after all), I started with the logo design. One thing many of the huge manufacturers in the guitar industry lack is a logo mark that can standalone on its own. Once I had designed the logo, I had a branding iron made to burn the logo into the guitar headstocks to further instill the idea of simplicity and to add another level of differentiation between every guitar made. Read how Nick describes his work. 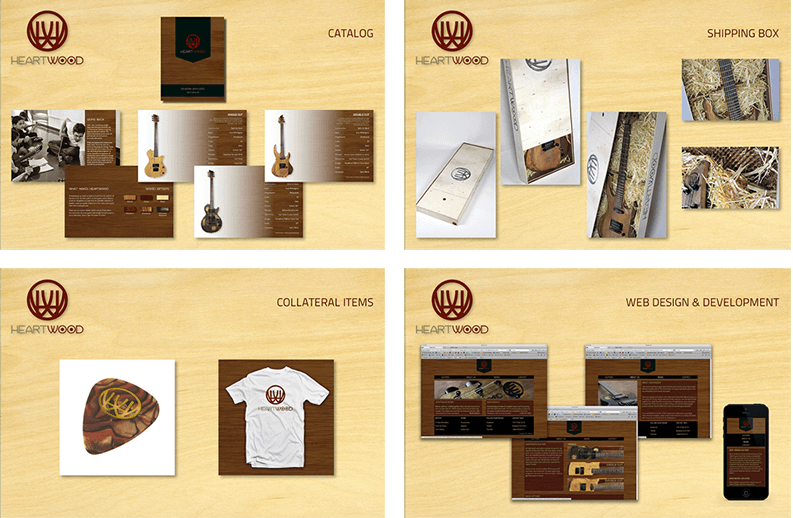 Designing and developing Heartwood Guitar Company was an extremely immersive, challenging and fun project for me. I got to work with my hands a lot (something I don’t get to do a lot when designing on a computer), design and build packaging (a huge passion of mine), and create something within the music industry (another one of my passions). It was an awesome experience to see all the learnings from my four-year college career culminate together for one final hurrah. I still have all the guitars hanging in my office at home as a reminder of the hard work put in and the knowledge gained at my time at Pennsylvania College of Art & Design. Nick is a graphic designer with LaunchDM, Wyomissing, an international creative digital marketing studio working with companies to reach customers through web, mobile & branding solutions. He joined the firm after graduating PCA&D in 2013.